We are almost half way through the year, I am honestly shocked at how fast this year is flying by. So this week we had a bit of bad news, our landlord is selling our house so we need to find somewhere else to live. Queue lots of panicking from me, trying to find a new house whilst decluttering the house ready to pack. I also had a welcome meeting at the primary school, making it more of a reality that Gracie starts school in September. 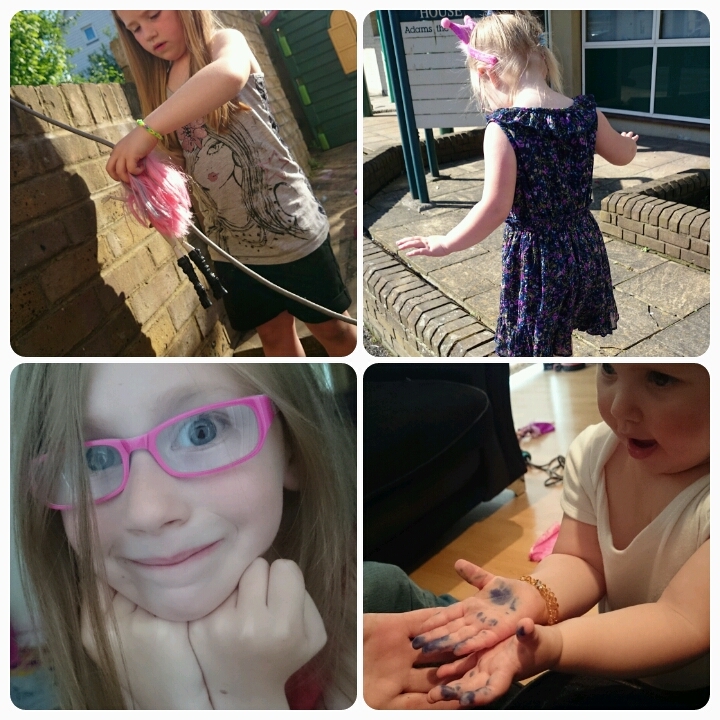 Enough about me here's what the girls have been up to. With half term almost over, Sunday was a lazy day. 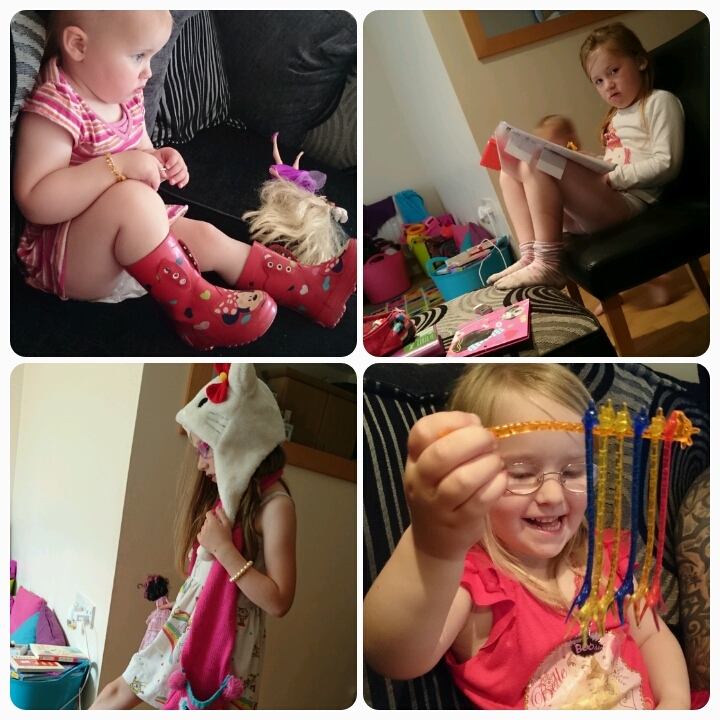 Layla decided because it was raining outside that she best wear her wellies indoors. Freya was unimpressed at having to do her homework. I hinestly don't know what Elise was thinking when she put this on lol. And Gracie was getting creative with her giraffes. Freya for once wasn't willing to have her photo taken, hence the blurred image. 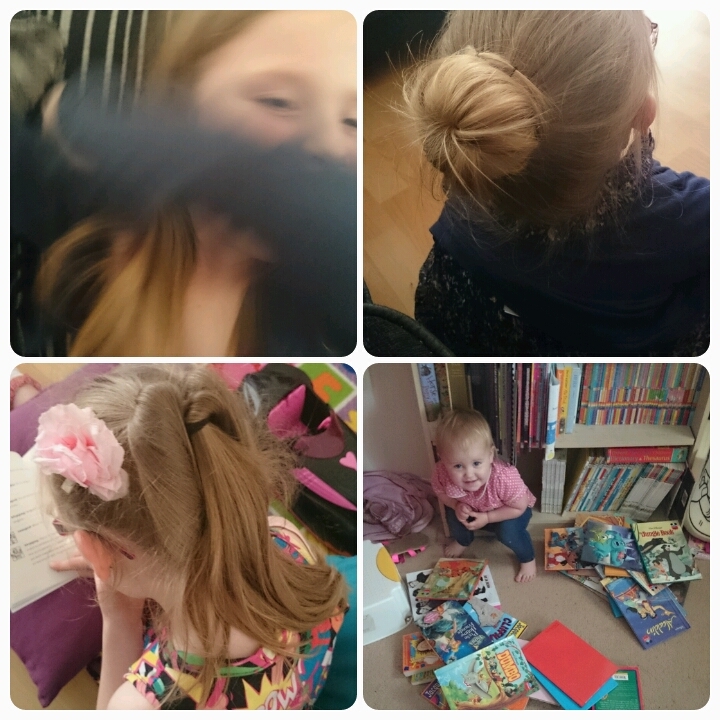 We bought new hair accesories at the weekend so Gracie and Elise were trying out new hair styles and Layla decided she was a book I think?? Elise had been on her school trip to Chessington and these were the souvenirs that she bought home. 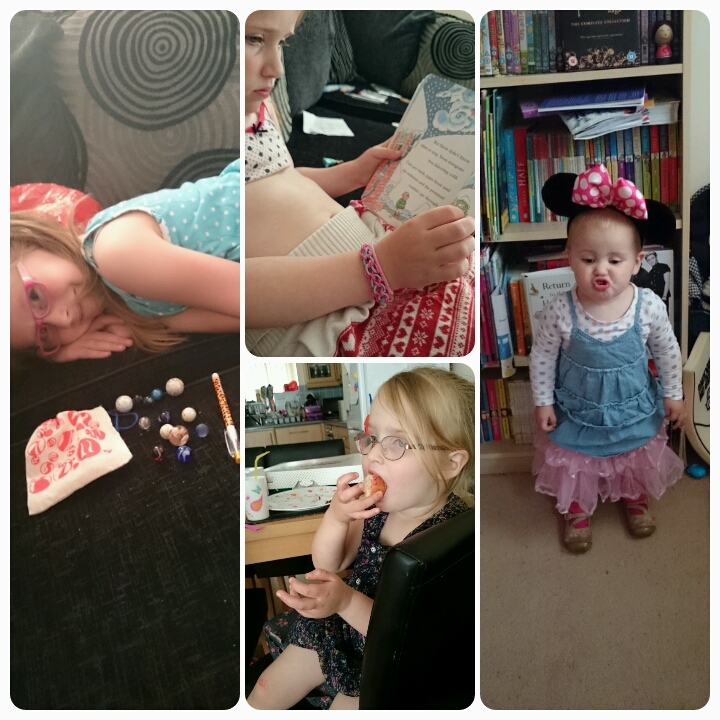 Freya was reading to me, Gracie was enjoying her doughnut and Minnie, I mean Layla was having a funny 5 minutes. 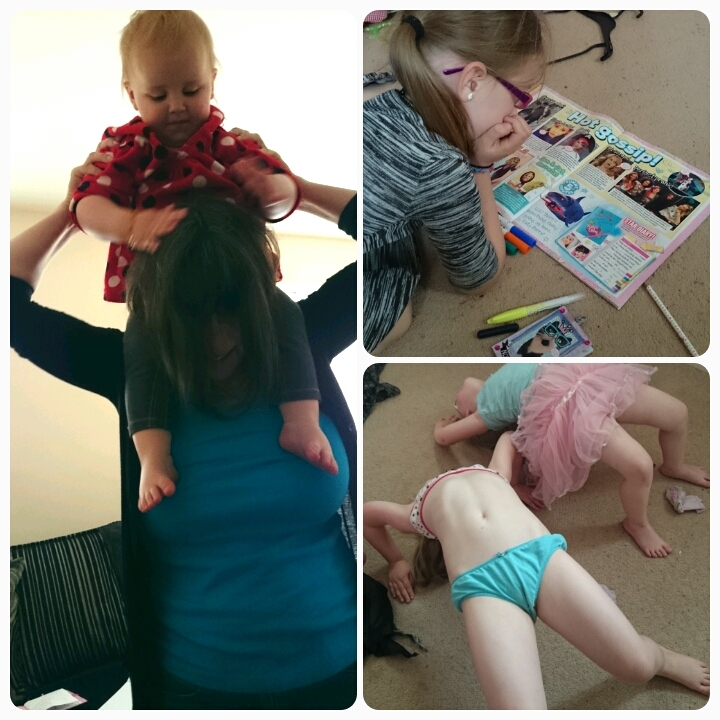 Layla was enjoying the view from nannie's shoulders, Elise was catching up on all the hot gossip and Freya and Gracie were doing their best crab impressions. 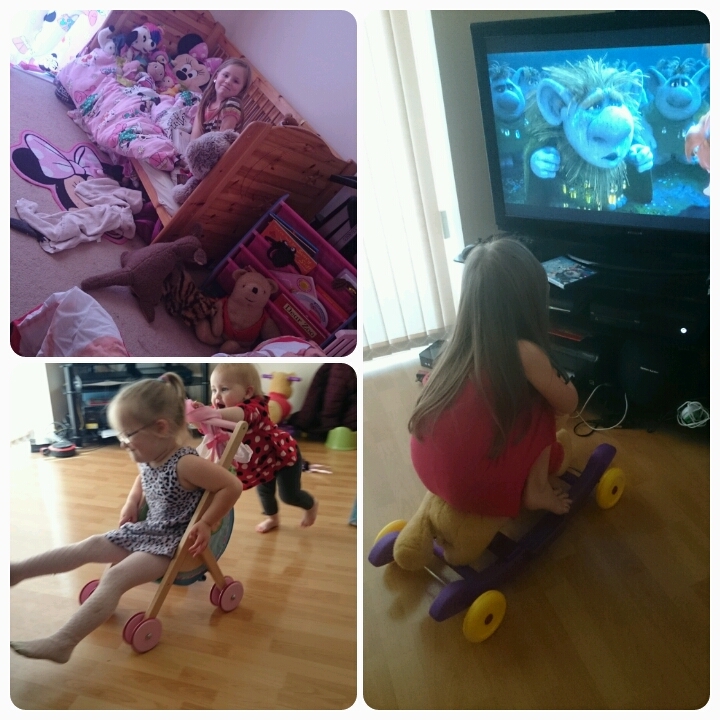 Morning smiles from Freya, Layla decide that Gracie was the baby and Elise was concentrating very hard on Frozen. Layla found a blue pen, Gracie told me she was a big girl and could balance whilst walking along the wall and she was right!! 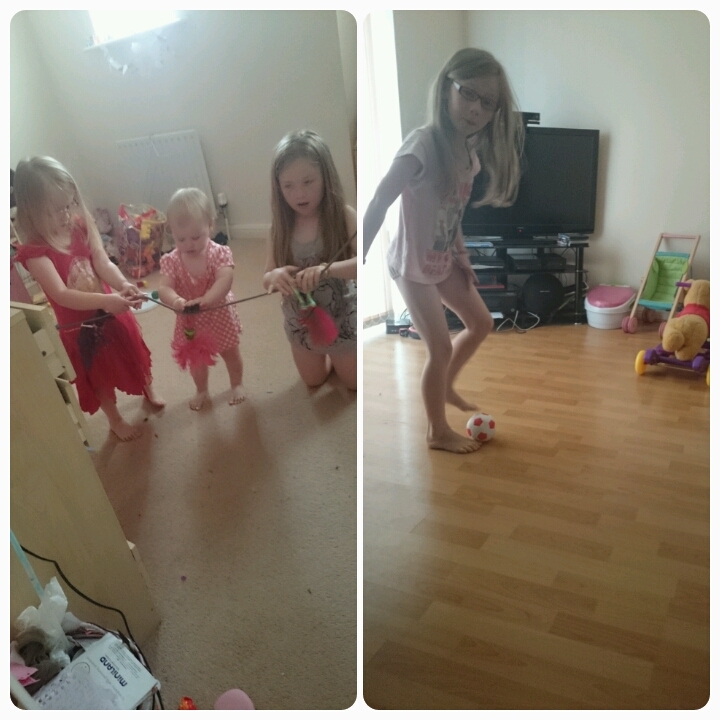 Elise was ready for her close up and Freya was playing zip wire with her doll in the garden. Kids have a great ability to make you smile!!! some lovely photos there, do love the wellie shot - classic style there.